Job seekers know that making a good first impression in an interview is important. But leaving a positive, lasting impression is just as significant, if not more so. The best way to make sure an interviewer remembers you well past the conversation is to always ask questions at the end — something many job applicants don't do, says Brendan Browne, the global head of talent for LinkedIn. "If people don't have questions, that's a concern," Browne tells. 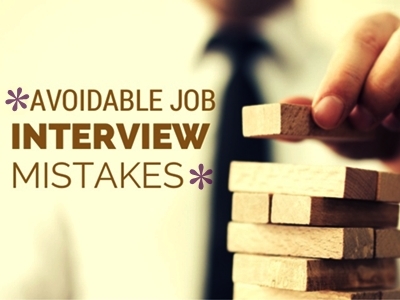 In fact, he says that it's the No.1 mistake he sees people making during the hiring process. "It's sort of impossible to not have questions," says the HR exec. "You won't get everything in a 45-minute interview that you need." Asking questions shows that you have been paying attention during the interview and that you are eager to learn more about the company, says the head of global talent. Browne explains that when a prospective candidate doesn't ask questions, it raises red flags. "Is this emblematic of not being inquisitive or collaborative?" he says. "Questions are one of the most important things." Browne gives pointers on questions you can ask: "Ask about [the interviewer's] experiences. What challenges do they face? What's next for the company and what's up ahead?" This final segment of your interview can either make you a front-runner for the job or significantly hurt your chances. In a nutshell, it's your last chance to truly show that you were engaged and demonstrate that you are already thinking about the company's future and how you fit into the business. However, one question you shouldn't bring up right away is salary, says Browne, who warns that you should not discuss money early on in the conversation. "There are a time and a place to bring it up," says Browne. As the head of global talent at LinkedIn, Browne says that alignment with the company is the most important thing that he looks for. Constantly asking about pay, he says, slows down the interview process and is a turnoff for the hiring manager. The HR exec notes that salary is an important discussion to have, although it's really all about when you choose to bring it up. The first interview is probably not your best bet, he says. In fact, Browne says that when compensation is brought up too early and too frequently during the hiring process, he usually responds by saying, "If that's the most important thing, this may not be the right place for you." "We pay well," he adds. "But what keeps people here is helping us execute on very important decisions. Don't bring [money] up early."